Natural Instinct only use the freshest natural ingredients,with absolutely no preservatives, grains or fillers. 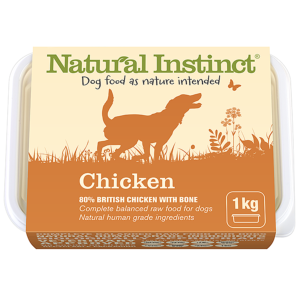 All the chicken used by Natural Instinct is farm-reared on a DEFRA regristered British farm. Natural Instinct NEVER use battery farmed chickens, and all the meat is dressed and fit for human consumption. Excellent food my dog thrives on it.